Behind its worldwide acceptance as a creative tool was a family-owned, socially oriented firm that, during the Nazi era, acted with uncommon grace, generosity and modesty. 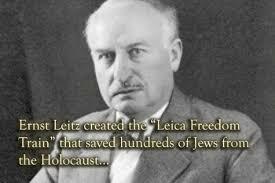 E. Leitz Inc., designer and manufacturer of Germany’s most famous photographic product, saved its Jews. 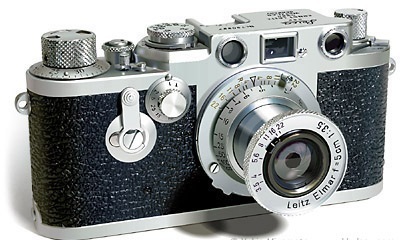 Before long, German “employees” were disembarking from the ocean liner, Bremen, at a New York pier and making their way to the Manhattan office of Leitz Inc., where executives quickly found them jobs in the photographic industry. 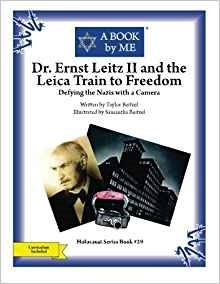 Keeping the story quiet The “Leica Freedom Train” was at its height in 1938 and early 1939, delivering groups of refugees to New York every few weeks. 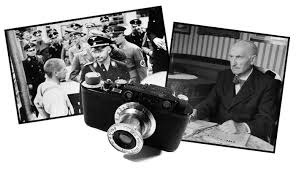 Then, with the invasion of Poland on Sept. 1, 1939, Germany closed its borders.